ST. LOUIS (August 1, 2017) – Cats, start your engines. 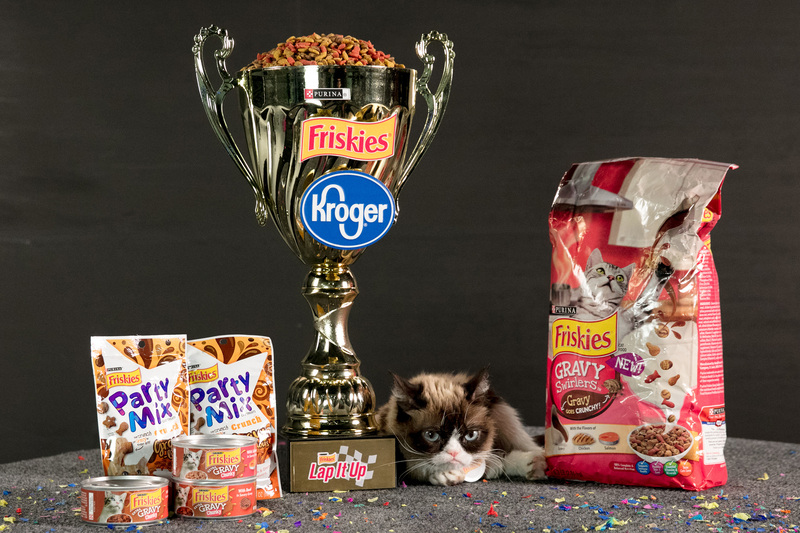 Kitties can now enjoy their favorite gravy year-round with Friskies’ new line of gravy products available at Kroger stores nationwide. 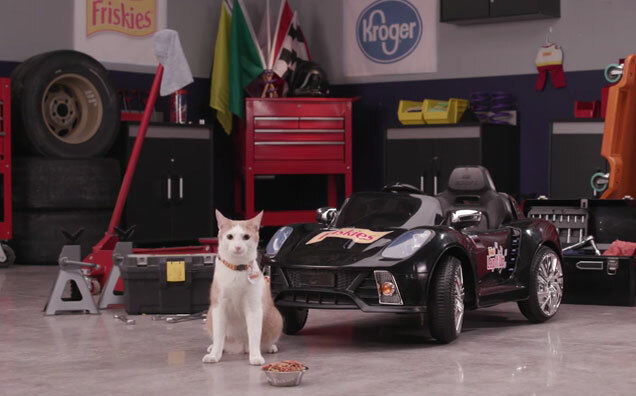 To launch Friskies® Gravy Swirlers™, Friskies® Extra Gravy Chunky and Friskies® Party Mix™ Gravy-licious treats, Friskies teamed up with Kroger to debut its “Lap It Up” digital video starring the famous frowning Grumpy Cat and Kroger stock car driver A.J. 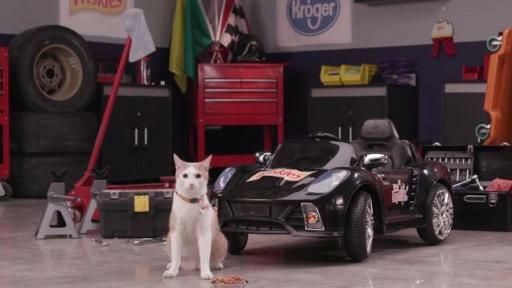 Allmendinger’s furry friend, Mr. Tickles. 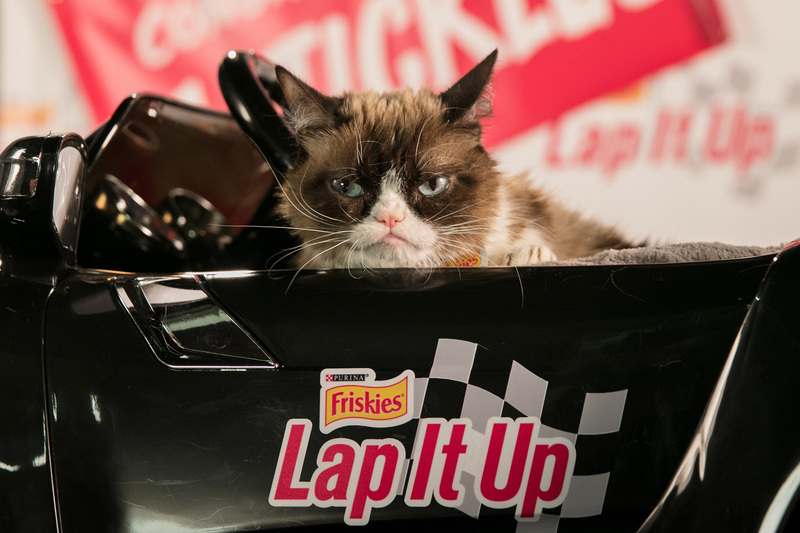 Racing Fans, Buckle Up: @RealGrumpyCat teams up w/ @tickles_thecat in "Lap It Up" video! 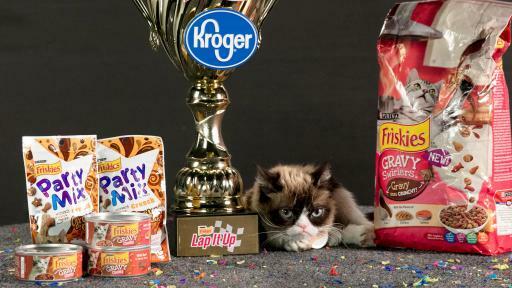 View it at Kroger.com/Friskies. 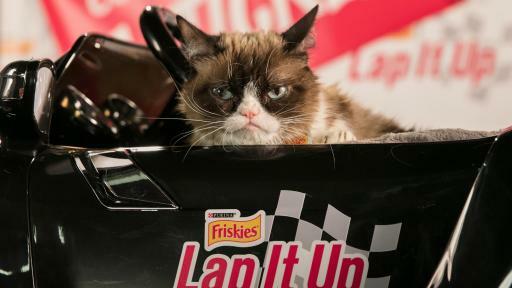 In the 60-second video, Grumpy Cat shamelessly tries to “motivate” Mr. Tickles who is on a quest to become the “First Cat of Professional Racing” as he sets out to “Lap It Up” at the track. 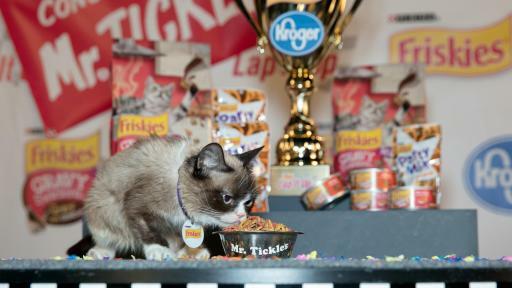 After fueling up with Friskies Gravy Swirlers for his big debut, Mr. Tickles gets “lapped” by Grumpy Cat at Victory Lane. 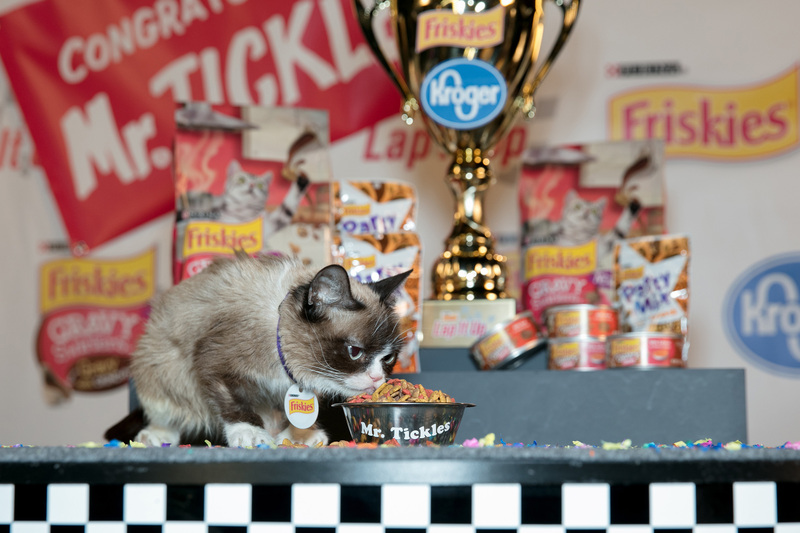 Check out the full video at www.Kroger.com/Friskies. Friskies Party Mix Gravy-licious Party Mix cat treats with a crunch of gravy in every bite. Visit www.Kroger.com to find a store near you. For more information on Friskies, go to www.Friskies.com. The Friskies® brand offers a complete line of great-tasting cat foods, including more than 60 wet, dry and treat varieties. 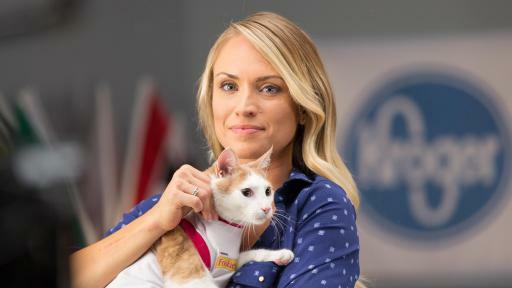 Friskies is manufactured by Nestlé Purina PetCare, a global leader in the pet care industry. Nestlé Purina PetCare promotes responsible pet care, community involvement and the positive bond between people and their pets. A premiere global manufacturer of pet products, Nestlé Purina PetCare is part of Swiss-based Nestlé S.A., a global leader in nutrition, health and wellness. The Kroger Co. is 443,000 associates who serve eight and a half million customers every day in 2,792 retail food stores under a variety of local banner names in 35 states and the District of Columbia.